No, Kyle Shanahan didn’t name his son Weezy, but Carter is good enough. The name Carter is surging in popularity in the United States—it was the 24th-most popular male baby name in 2017, compared to 80th in 2007 and 152nd in 2000—but I don’t think many of those Carters have the same origin story as Kyle Shanahan’s son. Back in May, former NFL quarterback Chris Simms said on his Bleacher Report podcast that the 49ers coach’s admiration for Lil Wayne runs so deep that he even named his son after the rapper (born Dwayne Michael Carter). Wayne caught wind of this and decided to send a little something special to the Shanahan family. He included signed copies of two of his albums, as well as a poster with a personalized message to both Kyle and Carter. 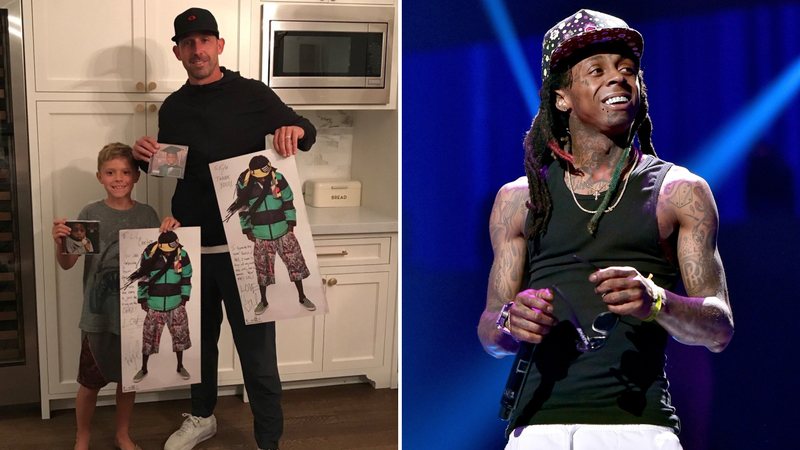 Here’s what Lil Wayne sent Kyle Shanahan. When I led yesterday’s Clicks with the KD-C.J. McCollum beef, I sort of figured that would be the end of that. But I had forgotten Durant was with Team USA and would be meeting with the media, which gave us this tremendous exchange between KD and a reporter. You have to give Durant credit. He always keeps the NBA interesting. 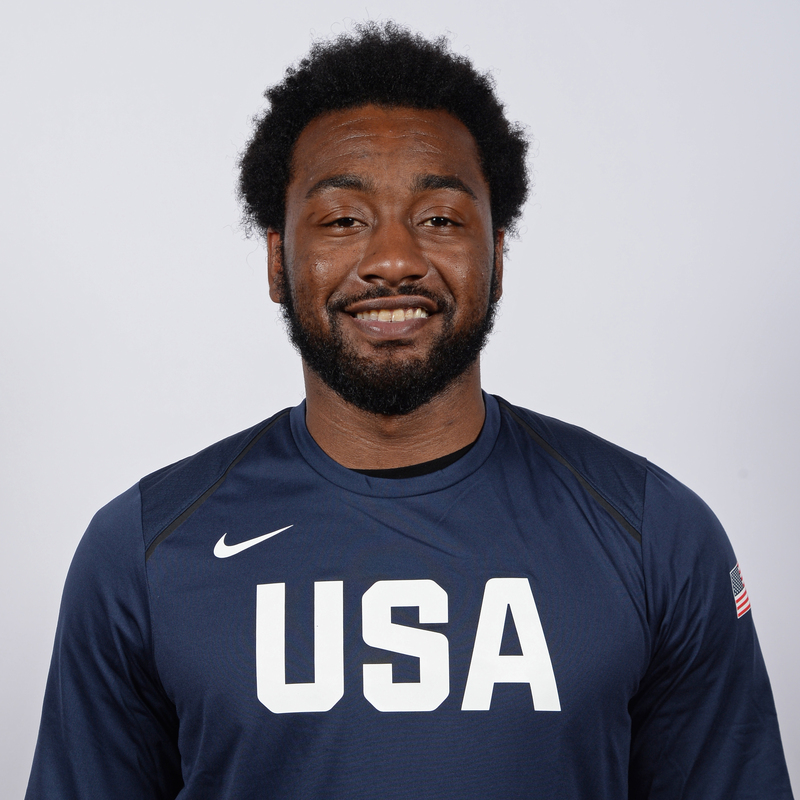 John Wall showed up to photo day at Team USA training camp in Las Vegas on Wednesday looking like he slept inside of a tequila bottle. The picture went unnoticed until the Wizards tweeted it, at which point he got roasted mercilessly. But Wall doesn’t seem to be too bothered by it. LeBron says he regrets naming his son after himself but his explanation for why he did it makes perfect sense. ... Papa John is suing Papa John’s. ... A zoo in Egypt got busted trying to pass off a painted donkey as a zebra. ... A trio of serial yoga pants theives made off with $17,000 worth of Lululemon in broad daylight. ... Seth Rogan will be the new voice of Vancouver’s public transit system after plans to have Morgan Freeman do it were quickly scuttled following sexual harrassment allegations. Are you ready for National Wing Day? National Wing Day is this Sunday, which means there are plenty of places for you to score free chicken wings. Wingstop actually came through the SI offices this week to give us some wings, including the new (and very delicious) Spicy Korean Q flavor. Among the more notable deals available this Sunday, Wingstop is offering free five wings with any other purchase. Buffalo Wild Wings is giving away a free snack-size order of wings with the purchase of any small, medium or large order. For a list of smaller regional wing deals click here.